As the filmmaker behind Lights Out and last year’s Annabelle: Creation, David F. Sandberg isn’t exactly the first name that springs to mind when one ponders over Shazam!, the 2019 blockbuster starring Zachary Levi. And yet, Sandberg landed the coveted gig just prior to the release of Wonder Woman, proving that, yes, Warner Bros. appears to be adopting a direction-driven approach to its fledgling universe. Fast forward to 2018, and Shazam! is beginning to take shape under the watchful eye of Sandberg, who recently took to Twitter to explain the origin of the film’s newly-unveiled logo. 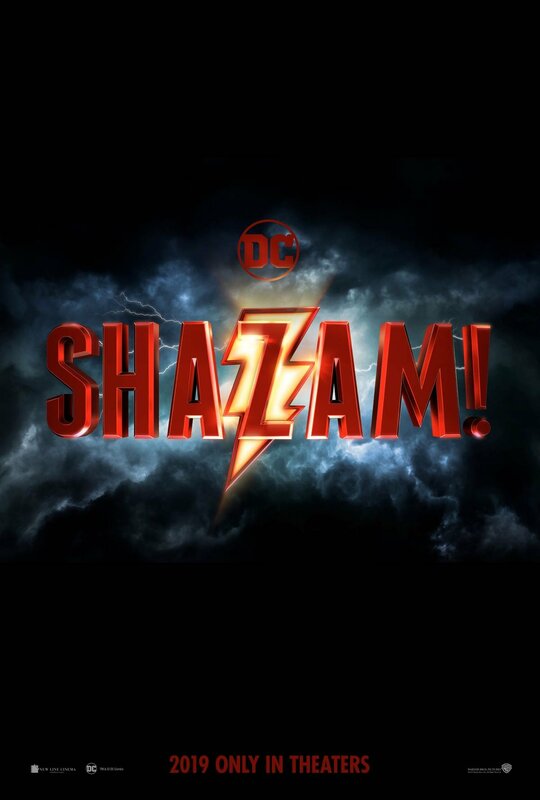 When asked if Warner Bros. based their design on a specific version, David Sandberg confirmed that the final piece can actually be traced back to his own logo that he designed for a Shazam-centric presentation. If you follow Sandberg’s tweet through to the original comparison, you’ll notice that the two designs are practically identical, and retain the same font and oversized lightning bolt that instills Shazam!‘s logo with a sense of god-like power. After all, Zeus is one of the gods from whom Billy Batson derives his supernatural abilities, so a golden lightning bolt is rather fitting. Story-wise, we know David Sandberg’s DCEU debut will see the 14-year-old Billy Batson (Asher Angel) transform into an adult with the powers of superhuman strength, speed, intelligence, flight and wisdom. It’s Big, but with a touch of otherworldly abilities. Zachary Levi is on board to play the full-grown Batson. More intel on Warner’s Shazam! is expected online later today courtesy of Entertainment Weekly, so keep your peepers peeled. Beyond that, the end product will seemingly begin its theatrical rollout on April 5th, 2019 – four months after the release of Aquaman.